The glass dropper bottle has many uses, such as essential oil, beard oil, e-liquid, body serum and so on. We promise that we have the best quality products and the best service for you. Welcome you to look through them! Available Printing Area: We can provide available printing area before production. You can design the printing content in AI format according to available printing area. Then please send the printing content to us for checked. 3. Delivery Time: 3-7 days for samples; 15-30 days for batch goods. 3. Package Informations: Bubble film inside, Standard import and export carton outside. 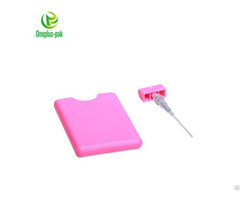 No.1: We can provide OEM products and high quantity. No.2: We can provide quickly reply in 24 working hours. No.3: We can provide your a happy time during purchasing. Hebei Well Bottle international trade Co., ltd. is a manufacturer with well-equipped testing facilities and strong technical force. With a wide range, good quality, reasonable prices and fashion designs, our products are extensively used in many industries. Business Description: Hebei Well Bottle International Trade Co., Ltd. is the biggest and a collection development, production as one of professional for Packaging Cosmetic Bottle production company in China. The company currently has a number of modern production lines. 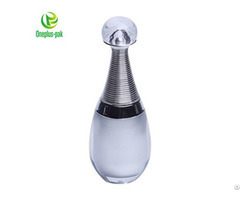 At present, the representative products including E-liquid bottles, Essential oil bottle, Car perfume bottle, Spray bottle, Perfume bottle, Roll on bottle, Nail polish bottle etc.. Under the direction of this idea, the company is trying to build up a super strong Packaging Bottle market with the most complete product and the best quality for wholesalers and retailers from all over the world.We not only can produce various forms, specifications, variety of cosmetics bottles, but also ensure that all the company's products safe for use in the hands of consumers, so that customers have confidence to consume .Our products are exported to many countries and regions All over the world, especially in the United States, Britain, Germany, Poland, Italy, Spain, France, Portugal, Bulgaria, Canada, Australia, New Zealand, Malaysia, South Korea, Japan, Turkey, Singapore, etc. More than 100 countries.Our products enjoy good reputation in clients.We ensure that every product from our place in the field of cosmetics packaging can achieve high technical content, to provide consumers with a quality assurance. We welcome customers, business associations and friends from all over the world to contact us and seek cooperation, achieve mutual benefit and win-win results. 1)Product quality assured and fast shipping time. 2)Free sample available for sample test. 3) We could open mold according to your samples.